I love the holidays! I get all excited that I get to have family over for dinner and do lots of cooking. I am already thinking about the menu. I love to try new recipes and have started reading cooking magazines to get some ideas. 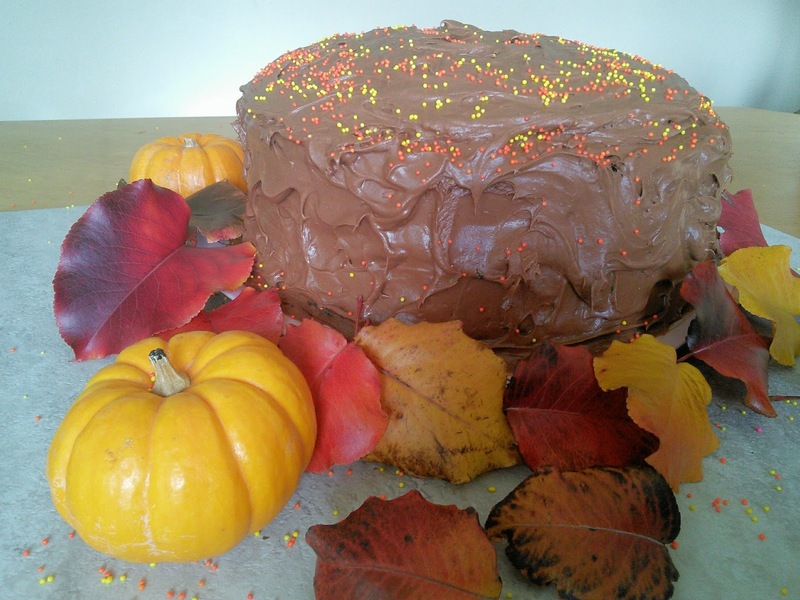 Then there are items that my family requests every year like chocolate cream pie and my green chile cheese bread. My favorite part of the holidays is the cookie baking. 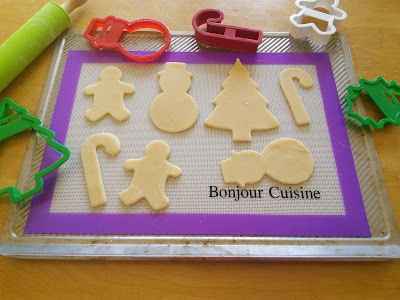 I love to bake several kinds of cookies not only for the family but also for the church cookie exchange. My oven sure does get a workout during the holidays. It also seems that my refrigerator never has enough room for all the baking and cooking for the holidays. I am thinking this just might be the year that I splurge on new appliances for my kitchen. The dishwasher and microwave were replaced last year but my oven and refrigerator are over ten years old so I think it might be time to replace them. The last thing I want to happen is them not working when I have lots of cooking and baking to do for the holidays. I admit I want new appliances just for the new features that they have. 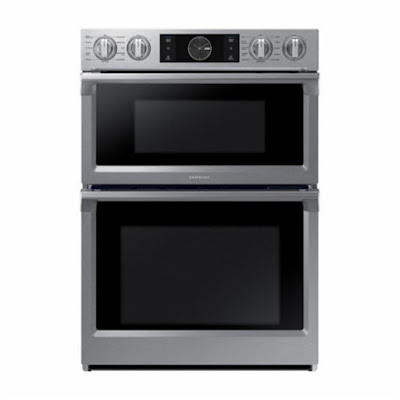 I told my husband now is the time to shop for that new stove and refrigerator as Best Buy has a great selection of Samsung appliances that would be perfect for all my holiday baking. Another reason it is a good time to shop at Best Buy is you can save 10% When You Buy Four or More Samsung Kitchen Appliances. I just love that Samsung - Microwave Combination Wall Oven with Flex Duo™ has WiFI Connectivity** so I can monitor my oven from my phone while I am busy working in the other room. No more having to shout for one of the boys to turn off the oven. **WiFI Connectivity - Remotely monitor your oven for peace of mind. Turn on/off, preheat, and adjust temperature or time from your smartphone for the ultimate cooking experience. I really like the Samsung Family Hub refrigerator as it has an awesome Shopping Lists** feature. I think it is so cool that I can get updates on my groceries so I won't have to hear the kids complain that we are out of milk. I will no longer forget any items while I am at the store as the hub creates a shopping list for me on my phone. I can also see inside my fridge while I am at the store so I know exactly what I need to replenish. How cool is that! This fridge is also big enough to hold all the food that I need to buy for the holidays. **Shopping Lists - Get updates on your groceries. Create shopping lists and peek inside your refrigerator from anywhere. You can even set expiration notifications to keep all your food fresh. Head on over to see these Samsung Appliances at Best Buy. 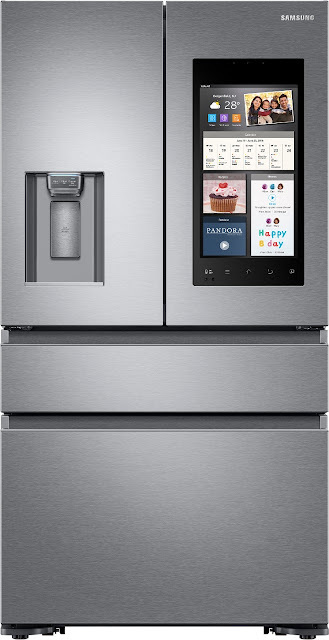 Click HERE to see my favorite Samsung appliances. Gorgeous appliances. 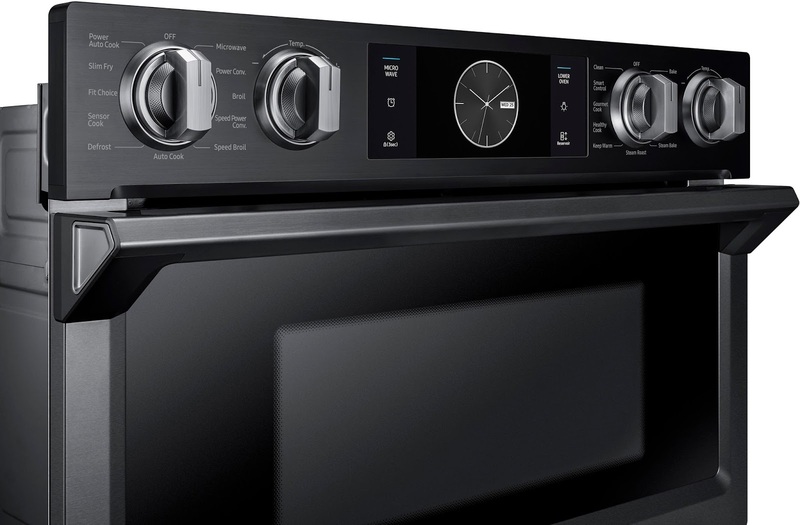 I have been looking at the Samsung - Microwave Combination Wall Oven with Flex Duo too! I love that it has Wifi connectivity! So beautiful. I need a new fridge so bad. I have never seen such a genius household appliance. It is not available in my country, Indonesia. The best part of it is the wifi connectivity, of course. that's a great offer and an amazing looking fridge. i'm in the market for a new one. i will have to check this out. Wow this refrigerator looks super neat! I have never seen one in person just in the commercials it still seems so futuristic! Ty for sharing! It seems like summer just ended, but the truth is that the holidays will be here before we know it. I need to evaluate our holiday plans. If we're hosting, new Samsung appliances are in order. It is crazy cool how the appliances can get today! The samsung appliances look so high tech! So cool! I am looking forward to the day when I can redo my kitchen and get this new frig! It is so functional! That is amazing. Technology really makes our life easier.